Philadelphia’s commuter rail service was restored on Sunday only hours after its workers were back on the job following a strike that was ended after President Obama had intervened, said officials from the Southeastern Pennsylvania Transportation Authority. A spokesperson from SEPTA said all of the morning shift workers for Sunday had showed up for work and lines were starting. 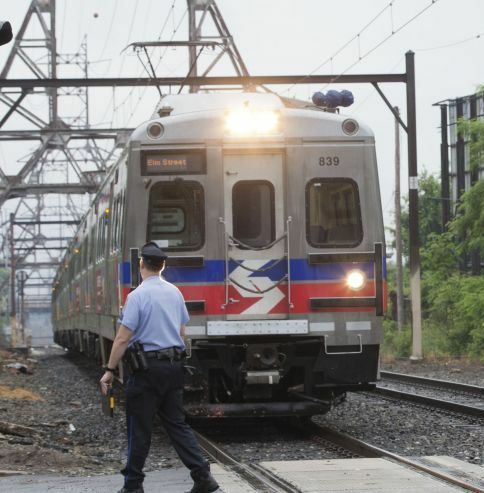 The spokesperson said the service’s first train to return to service left its Temple Station Sunday morning at 4:18 am headed toward Philadelphia Airport. The strike started after contract negotiations between SEPTA and its electricians and engineers union could not reach a deal on Friday. That shut 13 lines down that carry commuters between the city and suburbs, the airport and New Jersey. On Saturday, Obama granted Tom Corbett the Republican Governor of Pennsylvania’s request to create an emergency presidential board that would mediate the dispute in contract negotiations, which forced the union workers to return to work. Obama ordered that the board made up of three members be established effective at mid night Sunday and called for a speedy and smooth resolution. The last time there was a regional strike was in 1983 and it took three months to resolve. The vice president of the union representing trainmen and engineers said his members were complying by returning to work as of midnight on Sunday. The president of the electrical workers union said the intervention by Obama was what his members were waiting for. He said there has passed five years with no agreement and they have been trying to reach this mediation point. SEPTA and the unions do not have to return to talks with one another, but they must participate with the process that the board will go through, which typically has involved written submissions as well as hearings. Obama had given the board up to 30 days to submit a report that recommends how the dispute could be best resolved. Commuting headaches across the region increased due to the strike where construction projects have made it more difficult to get around. Four commuters paid $40 each and used Amtrak from New Jersey to Philly instead of just $9 on a SEPTA train due to having tickets to the ballet in Philly that were non-refundable.